Last year PUMA introduced their PUMA Eclipse Pack and now they’re ready with a new round of Limited Edition football boots. Let’s quickly head over to the action and take a closer look on the Limited Edition Eclipse Pack, which is a perfect match for the winter months. 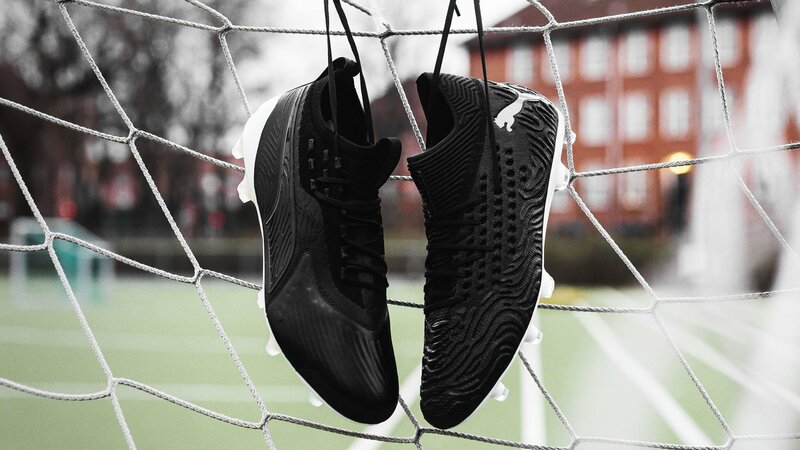 The new PUMA Eclipse Pack is PUMA’s Limited Edition blackout pack, which is inspired by an Eclipse. 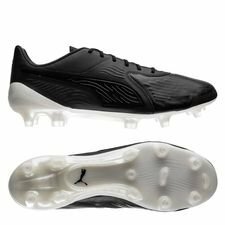 But it’s not completely blackouted, as the PUMA football boots features an awesome pearl white soleplate. 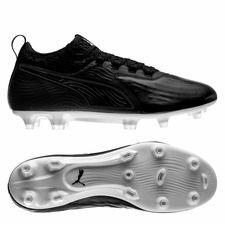 You really see that the PUMA has taken inspiration from the eclipse, as the blackout upper marks the peak of the eclipse, while the pearl white soleplate is inspired by the moon, which casts its shadow on the sun, giving us the Eclipse. 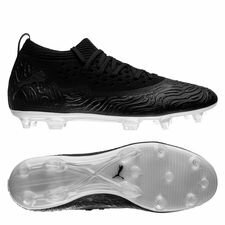 So, lets go a bit more into details with the PUMA Future and ONE 19.1! 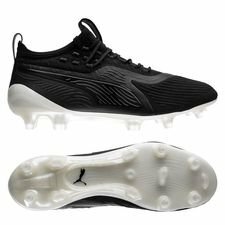 The PUMA Future 19.1 is ready with its second colourway, and it’s right up there with the Power Up Pack, as the blackout colourway is just on-point. 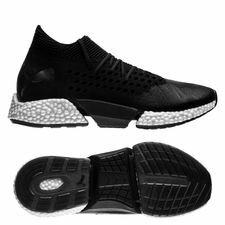 You can really see all the details on the Future 19.1, as the NETFIT construction, 3D Havoc Frame and evoKNIT upper just pops up through the blackout design. These 3 words I just mentioned might still be unknown for you, as the Future 19.1 is completely new, so let’s quickly run through them, to get you up to speed. The Future 19.1 has been modernized, which is made possible by combining the NETFIT and 3D Havoc Frame in one layer. 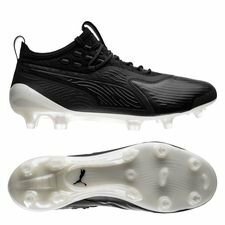 By combining these elements PUMA created a new evoKNIT Pro upper and this will bring your foot closer to the ball and for an overall better fit, ball reception and stability. The RAPIDAGILITY outsole is made in a completely white colour, which works pretty well with the blackout upper. 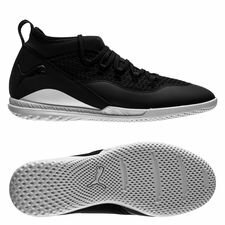 The outsole is made with a reduced weight, so you can increase your speed. Furthermore, PUMA has still made it possible for you to lace the Future as you want through the NETFIT lacing system! What’s not to like about the new Limited Edition PUMA Eclipse Pack? If you’re into getting some of the most popular boots in 2019, then make sure to get your Eclipse Pack boots from today at Unisport!